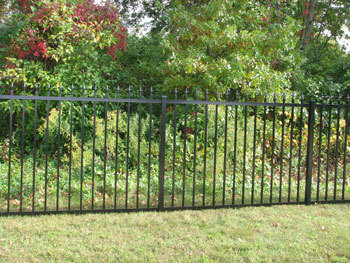 Like the Bravo style, our Symphony Fence is a variation of the Ovation design. Pickets extend through the top rail and can have Imperial, Majestic, or Victorian finials added for an extra touch of elegance. This style is available in a 52 height to meet most pool codes.